In getting straight to the point, this piece is next to impossible. 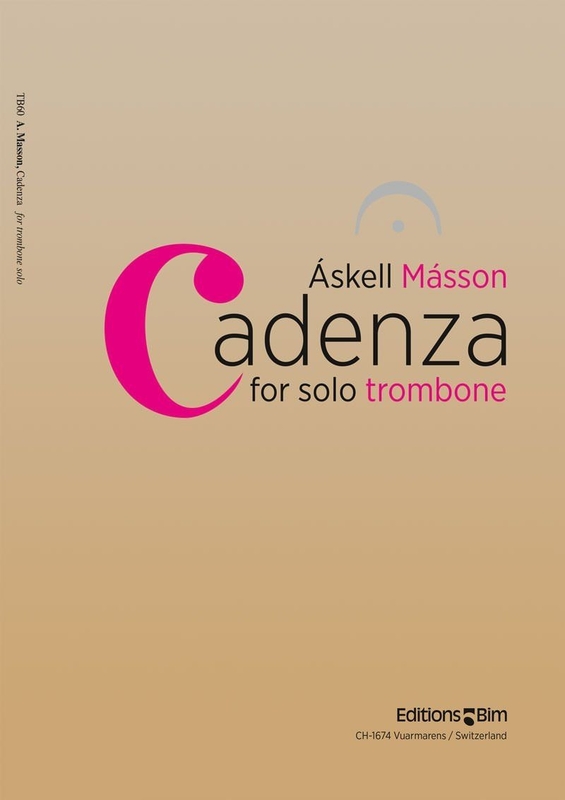 This unaccompanied trombone work was written for Christian Lindberg in 1987 by Icelandic composer Áskell Másson, two years before he composed a concerto for Lindberg. Consequently, that work has found its way onto Lindberg’s list of 100 favorite concertos. The piece is written as if the composer set out to challenge the virtuoso trombonist on what actually can be done on the instrument. The range of the work stretches nearly the entirety of the tenor trombone: EE to f2. Additionally, the performer is required to leap quickly in and out of some of these tessituras, once by an interval of a major 14th. Many extended techniques are employed such as: complex use of a plunger mute combined with flutter tongue, extended use of the Harmon mute, a combination of alternate positions and against-the-grain techniques, turns, glisses, lip trills, an insanely fast multiple tongue, “lip multiphonics (split tone) w/valve,” singing multiphonics, and sonic syllable shifting. One section of the work utilizes constant 32nd notes at the tempo of quarter-note equals 72 bpm. These notes are not scalar or arpeggiated in nature, but are chaotic, seemingly without coherence. To add a level of complexity to this portion, some notes are marked “staccato sempre” while others “legato sempre.” It goes without saying that its melodic content is contemporary in nature. If Mr. Másson’s goal was to create an incredibly complex work that could only be played by the top three trombonists in the world, he succeeded. It is imperative to note however that innovation begets excellence. What seems impossible on the trombone today could one day be the standard.